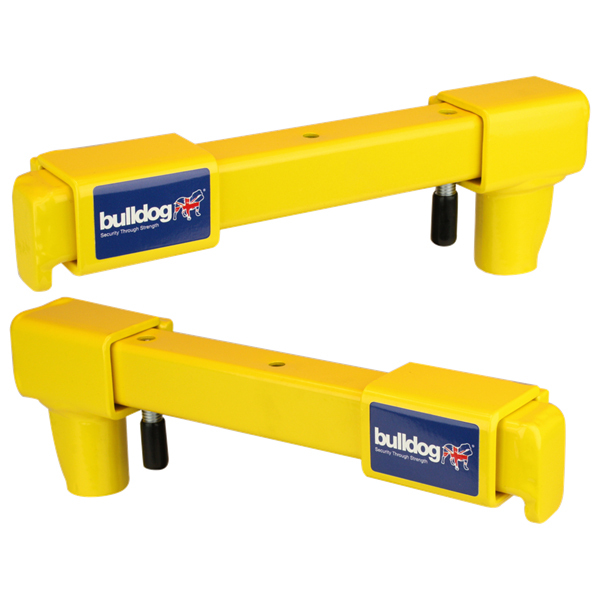 Combine both of the Bulldog VA101 for rear and off-side sliding doors, and the VA102 for near-side sliding doors, for the ultimate van security. This dual defense kit provides essential protection for your van. Both locks are pick and drill resistant, with their hardened steel cases adding to their robustness. The highly visible yellow powder-coated finish acts as a deterrent, thus avoiding costly repairs to any damage done to the bodywork by would-be thieves. It is simple to fit and use, as there are no loose parts, it’s supplied with all required fixings plus three keys, although it can be locked without the use of a key; the key is only required when the lock needs to be opened.